I wish I could write about a weekend of amazing waves behind us. I wish I could write a wave wrap at all. But I can’t. Because there were no waves. Nada. Zero. Nothing at all. Ok. Well. There was half a foot at a lowish tide. I was very desperate. So I took my mal down the beach and hooray I even managed to catch a few 1 foot waves. The lefthander in the South corner is actually surfable despite the barely there swell. I’m afraid that’s all there is to report this week. Lame I know. According to the surf-forecast there is a 3ft swell meant to be rolling in tomorrow. I’m trying my very best to stay positive. However, at this stage my confidence in the forecast is very low. 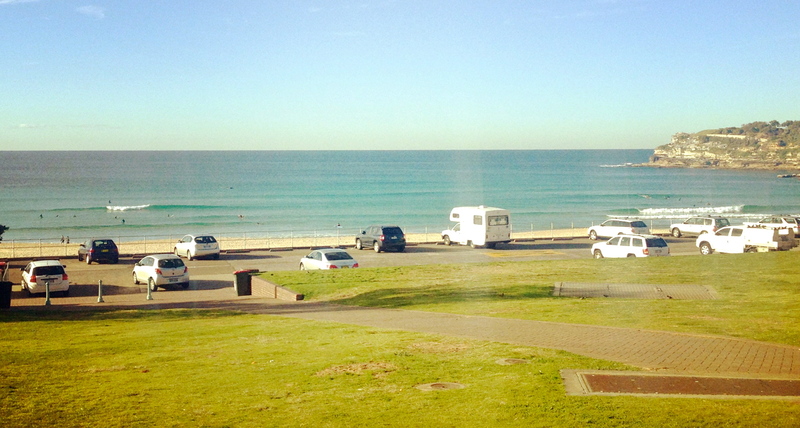 The last time I checked, Bondi still looked like a pancake.